More than in any other period , while in their creative process artists live in a bubble. But it is not a protective bubble, as it may appear. It is a multi-layer bubble. Where the fist layer absorbs everything from the “outer” world. And than, through artists creative thinking and understanding, filters it. Right into the inner layer. One where all the feelings, thoughts, ideas are carefully mixed and put into expressing in the best possible way – making an unique creation grow. 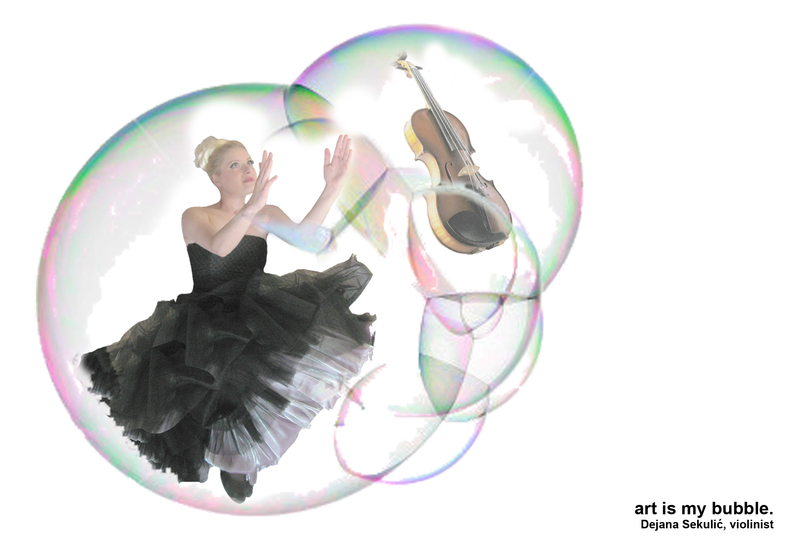 Right until the moment of bubble bursting – a moment artists strives to, sending perfectly meaningful and sincere message through his creation. A bubble is a place where peacefulness and rage, love and hate, reality and abstract… coexist. Not only coexist, but lead each other. Lead each other to perfect harmony. To perfect existence. To perfection: balanced mixture of “perfect” and “imperfect”, as substance of life and imagination. Dear reader you must see the resemblance to life events and thoughts that occupy us daily. You simply must. But just imagine… how much easier it would be to invent and find good solutions and process of action if we would constantly “train” ourselves through creating and experiencing art. Educate ourselves. To meet Dejana, visit her profile in Meet the Artist section.